Elenco Snap Circuits Physics Kit including over 300+ Projects! + Free Shipping! Free Homeschool Deals: Homeschool Freebies, Deals, and Encouragement to help homeschool families afford the homeschool life! Receive exclusive freebies, and never miss a homeschool deal or resource! You are here: Home / Amazon Deals / Elenco Snap Circuits Physics Kit including over 300+ Projects! + Free Shipping! This post contains my referral link which helps support the work of this site. Here’s my full disclosure policy. As always with Amazon be sure to snag any deals that look great quickly – prices change often. 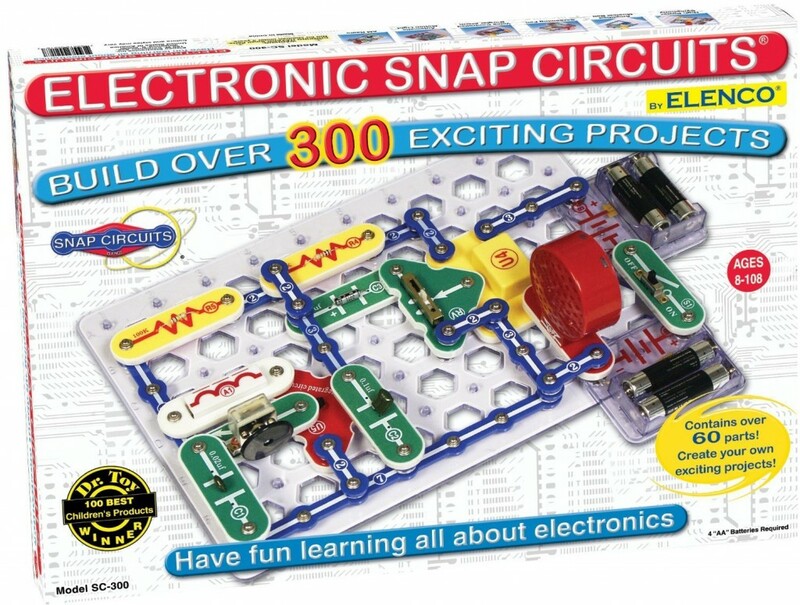 Build over 300 exciting science projects with the Elenco Snap Circuits Physics Kit! This Physics Kit has great reviews from many families. Read the full reviews here. *Contains over 60 Snap-Together parts. Build over 300 exciting projects. *Clear and concise Illustrated Manual Included and Available Online. The Elenco Snap Circuits Physics Kit is currently listed at over 20% off – plus it ships FREE! Here are more Amazon Deals! 10 FREE Easter Math Resources! (C) 2012-2018 Homeschool Solutions, LLC. | FreeHomeschoolDeals.com All Rights Reserved.